My love for earrings dates back to the time when I was a toddler and I actually made my parents get my ears pierced when I was only four years old. Even now I gravitate towards jewelry for ears more than anything else, be it hoops, cuffs or studs. In fact, I have worn ear studs all my life since dangly earrings were inappropriate throughout my years at the school. So when I discovered these Faux Rammel Round Square Alloy Earrings on Zaful, I couldn’t leave the page without getting them. 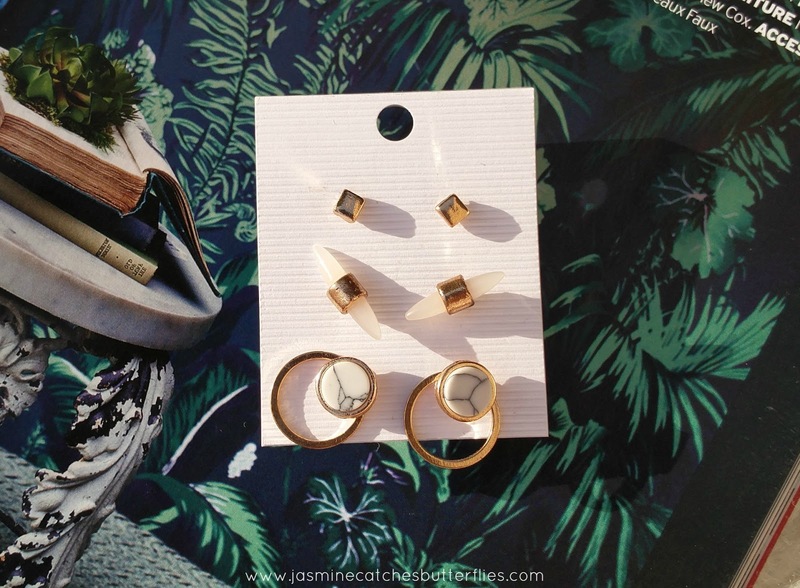 The reason that these ear studs caught my eye is that they look elegant and are inconspicuous at the same time. 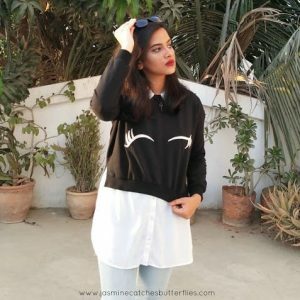 So, they seem perfect for formal outfits and you can wear them to the office or university. I did actually wear these with the outfit I showed you guys the other day for my class presentation and they matched perfectly. You can check How I Wore Hipster Pashmina To Class Presentation in case you have missed that blog post. 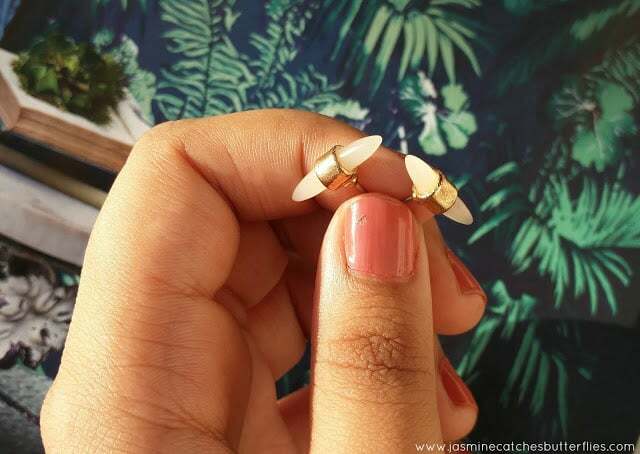 This set of ear studs has three distinctly shaped pairs and the only thing common in them is the colour selection. I opted for the gold and white ones but these were also available in silver and blue. 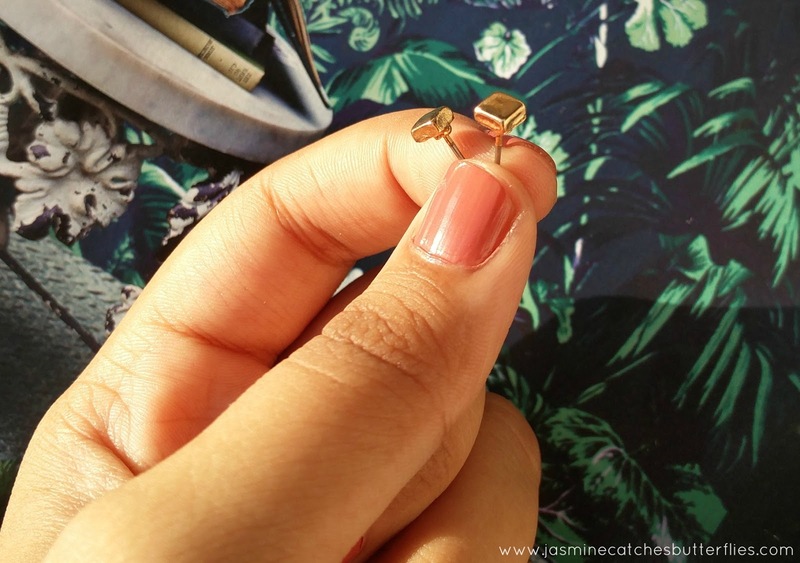 The first pair of studs are two tiny gold squares and they can be everyday staples. The second pair has a symmetrical tusk shape on both sides with a gold cylinder fixed around the center. This looks the most different and is my favourite. 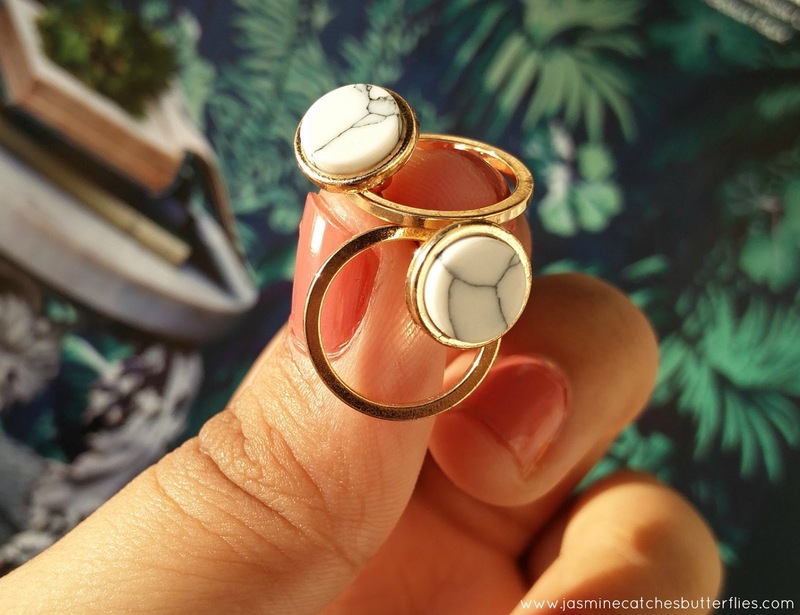 While the third one has a white marble print round stud in a gold ring and it has a business-like feel to it. With these, I have not experienced any tarnishing or chipping of the gold paint. They are well made and have double stoppers at the back to securely hold the stud in place so that you do not lose it. I have been wearing these ear studs with both casual and formal outfits and I love the eclectic style of these. They seem costly at a glance but were priced at only $4.71. Sadly, they have completely sold out on the website but I hope Zaful restocks as clearly, these have been popular. There a lot of other such chic earrings and accessories available so I do recommend checking them out for the affordability and Zaful often has items on sale so this was for $2.50 at a discounted rate before it went out of stock. I often get asked about the mode of payment that Zaful offers since PayPal is not supported in Pakistan and you can still pay through a credit card, Western Union or even go for a wire transfer for orders which exceed $1500. Also, Zaful does ship internationally and my parcel is always with me within a month or so. Delivery time depends on where you reside and partly also on the availability of what you have ordered in the warehouse. I am not sure how that exactly works but it probably has to do something with the flow of stock from the back end. Furthermore, shipping charges also subjective to your country, weight of your order and the type of shipping you opt for. For more details please check the website. 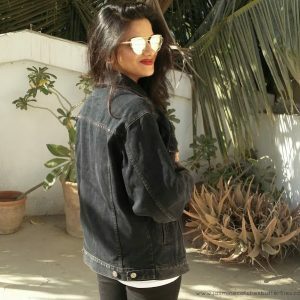 Zaful will be giving away $100 gift cards to 10 lucky winners and if you want to be a part of this awesome giveaway then click here for details on how to enter. Don’t forget to leave a comment below telling me which of these is your favourite and how would you like to style them!